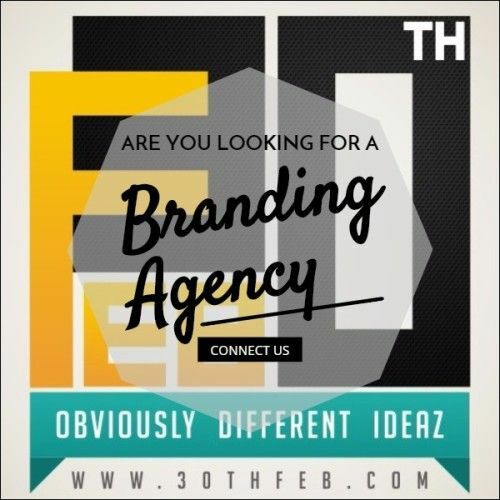 HAVE YOU PICKED THE RIGHT BRAND AGENCY FOR YOUR BUSINESS? KNOW HOW TO PICK ONE. Are you like most entrepreneurs, who have invested their heart into their venture? Are you one of those, who have always known to start up their own? Are you among those business men who put their brand name before revenue? Do you believe in long term business credibility then instant profits? If you are likely the ones mentioned above then I am sure you also believe that your business is for a larger purpose, an extension of your existence and you want to grow with it, each passing day. Well to be noted that there are many aspects that should be considered in order to grow a business, one of the most important being brand building. Now when talking about brands, we see them everywhere – from Mango in US to Mochi in India, from Apple in US to Blackberry in Canada. So irrespective of big or small, you got to invest on branding in order to build it strong. Branding need not be a fancy affair or cost you a fortune; it needs to pick your brand’s strength and values and epitomize them in every piece of marketing collateral you have and in every action you take. The right kind of brand agency will help you stand out. @30THFEB we recommend to Brand Safe i.e., Choose a Concept. Have a story. Now, once you decide to brand your business, the foremost dilemma you will face is that which branding agency fits best for your kind of trade. Also on the second thought, whether to hire an agency or to do it all in-house. It’s a challenge. Now-a-days, thousands of different agencies exist. From freelancers on Behance to 10-men experimental shops to enormous traditional firms with a global reach, and everything in between – the choice is just overwhelming. With so many options out there, selecting the right agency for you can become something of a headache. 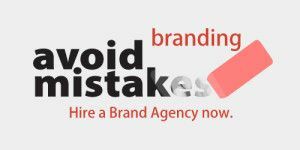 However, following a few simple rules and considering few do’s and don’ts will ensure you end up with the perfect brand design agency for your business. There’s no point in shopping around for a brand agency until you know what you want them to do and on what budget. When you begin the search, I recommend interviewing at least 4-5 firms and besides their portfolio or the pitch plan that they have for your business, give importance as to how they are going to charge you. You should have a good idea of your budget, goals and timeframe so you make sure you’re talking with people who can accomplish your objectives within your level of investment. Being upfront about budget range is beneficial for everyone involved. That way you will save time and pick the right brand agency in a short span. Your business dealings let you interact with many people from the same or different industry. Also, in order to channelize or to grow your business, many a times you play the trick of recommendation through your friends or an ex-colleague or a well-wisher. Well you might just consider the same technique when hiring a branding agency. Utilize the good network of contacts that you have built over the years to get your hands on the best pick possible. Before selecting or contacting the agency make a point of asking the concerned person about how good their customer service is, how flexible they are on price and how creative and innovative they are. You can also contact people you trust and who have been through the process recently to keep you up to date with the dynamics of the industry. That can make your search lot easier. If you notice, branding terms like “experiential marketing” or “social media campaigns” were relatively unknown a decade ago but are now of crucial considerations. So, it’s essential today to make sure that any agency you choose to create your brand has the ability to create great looking collateral that works online, offline, below-line, above-line etc. You don’t want your consumer to look for you in social platform with no presence in the print media for instance. Well, all advertising agencies can or claim to do pretty much any kind of work for any kind of client. But it’s really important to make sure they’re really clear about what they’re strongest at and why they think those particular skills are going to be right for your set of business. In case, you want to test the skills of selected agencies, ask for their profile/case studies demonstrating past projects covering all the advertising mediums. And don’t bother judging them based on the industry they have worked with instead give importance to their creativity, ideation power and creative style. Now, when you hire a certain brand agency, they are expected to give your business a direction – in terms of engaging the right kind of audience, building innovative marketing strategy for your business, creating ground breaking campaigns for maximum reach etc. You definitely don’t want an agency to do exactly what you say. You should pick a strategic branding agency that is able to lead you. A good agency should be committed to make your business successful. They should argue with your team and question your decision. Every idea executed as marketing strategy should be a result of collaboration between the agency and your team. Before taking any agency on board, you must have a discussion with them where foremost they should set targets for your business and present you a rough strategy as how they would go about and achieve it in a given frame of time. At 30THFEB, we know the financial challenges and hesitance to invest upfront with all the businesses. Be it big brands or start-ups, they often discuss and mention the potential troubles that one face when picking a brand agency. That’s why we offer our clients – customized start to end, relevant and conceptual branding solutions for their set of business at a budget that fits the requirement. Be it creating a brochure or a social profile, a branding strategy or a complete brand profile; get it all for your kind of business with 30THFEB. Well, I agree to what you say here. But in cases like a new mechanism or a new device, does concept of “a brand” apply so fast?